The Ancient Egyptians were extremely literal people who documented all aspects of their civilization—in written form. Therefore, it should not come as a surprise that they also wrote musical sounds, as they did their spoken sounds (language). 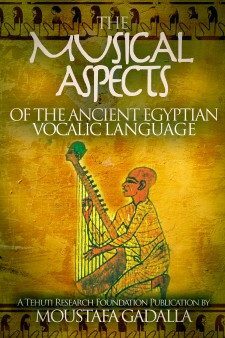 For the Ancient Egyptians, music and language are two sides of the same coin. In music that accompanies singing, every musical note is written separately, to correspond to a syllable of the text. In other words, each musical note has an equivalent syllable, and vice-versa, such as the hymns contained in the Leiden Papyrus J 350. All early Greek and Roman writers affirmed that there were basically two forms of Ancient Egyptian writings—pictorial and alphabetical. There were different modes of the alphabetical writings depending on the subject matter as well as the purpose of writing. We will focus our attention here on the forms associated with music and vocal musical theme—poetry, chanting, singing, etc. François Joseph Fétis, an accomplished musicologist, discovered the roots of the Greeks’ notation symbols to be the demotic form of the Ancient Egyptian writing. 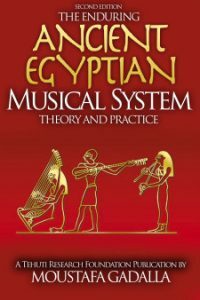 Fétis’s detailed analysis and conclusion proves without the shadow of any doubt that the Greeks borrowed the musical notation of the Egyptian demotic symbols. Another musicologist, Charles Burney [see bibliography], noted that an inventory of the available notations shows that the Ancients utilized more than 120 different characters for sound only. When taking into account the time (or tempo) variation as it relates to the different modes and genera, the sound characters were multiplied to more than 1620. Burney described this huge number as consisting mostly of lines, curves, hooks, right and acute angles, and other simple figures, placed in varied positions; a form of what he described as “mutilated foreign alphabet”. The symbols of the so-called “mutilated foreign alphabet” are actually the Ancient Egyptian demotic symbols, as noted by M. Fétis. Unlike the present-day Western notation system that is comprised of cumbersome abstracts that must be memorized without thinking, it was, however, easier to learn and follow the Ancient Egyptian notation system, because it was consistent with their language. Burney’s description of the musical writing system will be explained next. 1. Letter-forms as primary sounds of musical notes. 2. Associated with the letters proper are a number of complimentary symbols which serve to modulate or regulate the individual sound values. The system consisted of a variety of dots, dashes, etc. of markings written above, below, and in ways that do not alter the spacing of the line. These symbols describe musical features such as tone, length and stress, which often operate on syllables, words, or phrases: that is, elements such as the intensity, pitch, and germination of the sounds of the language, as well as the rhythm and intonation—basically dynamics and tempo markings. 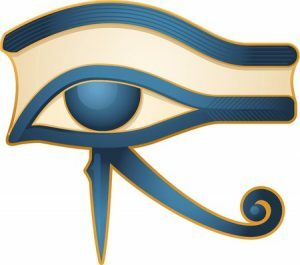 Besides vocal and instrumental symbols the papyri also makes use of arsis points (rising and falling) and diseme signs. More information is shown in Chapter 11 of this book. 3. Other melodic and rhythmical notations—basically abbreviated syllables to identify the melody, nature and duration of pitches/sounds, modes, note sizes, abbreviated notes and universal marks—arrows, etc. and all that what will make music musical. 4. Special symbols for supra segmental features were used including dots [singular, double, as today’s colon, and three], empty spaces, dashes, vertical bars [individual and multiple], commas, etc. Abbreviated words/syllables were also used to specify certain conditions. In general, notations for musical instruments were indicated as 1) a companion to the singing syllables as well as alternating with vocals, or 2) music without singing. In order to minimize confusion between the text syllables and accompanying music, musical notations are shown as alphabetical letter-forms in various positions—mutilated, barred, lengthened, doubled, etc. The second and fifth degrees/notes of the scale, B and H (E), were given 2 symbols each. All other notes of the diatonic scale had three symbols – or rather, one letter written in 3 positions: erect, prone and reversed. Erect signs designated the diatonic naturals (corresponding to our white keys), and both the flattened and reversed signs meant sharps, representing smaller intervals such as 1/4,1/3,3/8 tones (enharmonic notes). Barred musical symbols operate in conjunction with text syllables. Certain notes sometimes appear with a bar above them or through them (¥), signifying a portion of a natural note. The barred symbols appear above short syllables in several places, as well as above the second element of the divided long vowel. The bar means that the same note is sung, but in a different way; or with some difference in musical accompaniment. Individual notes were indicated by alphabetical letter-forms. Each degree of the scale was represented by a letter of the alphabet, used purely for musical instruments. Letters were used to signify the seven natural tones of the diatonic scale, and each of the seven original notes of the scale was followed by two supplementary notes for smaller intervals, such as 1/4,1/3, and 3/8 tones—enharmonic notes.